In case you’ve been living under a rock, there are some seriously talented artists coming out of Perth and it’s high time we all started supporting them! From photographers and animators to illustrators and painters, designers and makers to sculptors and ceramicists, there is no shortage of amazing Perth artists for you to experience the work of. Luckily, you’ve got us to shine a light on the artists you need to look out for—and this month, there are three of them! Whether it’s large-scale public works or cross-medium cosmic collaborations you feel like witnessing (we recommend both), here are three Perth artists you need to look out for this month! 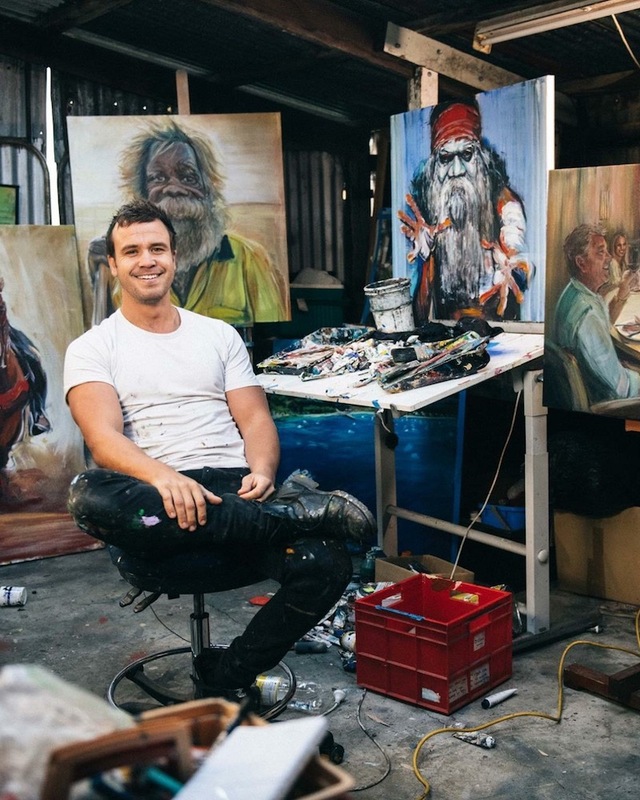 Dubbed ‘Shakey Jakey’ after a tremor he’s had since birth, local North Freo artist Jacob Butler has no trouble painting with insanely life-like detail—that’s why we were pretty excited to hear that he’s about to claim the final wall of Old Bridge Cellars. Shakey Jakey will commence painting on Monday, 22 October, and the plan is to immortalise a typical summer’s day scene in the North Freo locale. The piece is sponsored by Gage Roads Brewing, so you can probably expect to see a few brown bottles in there, but the plan is to also feature the iconic Fremantle cranes, Dingo Flour Mill and locals with their dogs enjoying Perth sunshine. Here’s the clincher: you can head over to the Old Bridge Cellar’s Facebook Page and post a photo of your own pooch in the comments section of this post for the chance to have your doggo featured in the mural! Only just over 3000 people have entered so far, so, you know—you’ve got a pretty good chance. Shakey Jakey has been making all kinds of headlines around Perth lately, so you’re gonna’ want to go and watch him paint—at least for a bit, perhaps before a little browse through the cellar? Perth-based reality-TV-star-slash-photographer Jarrad Seng and local Fremantle painter and illustrator Prez Juan are teaming up to bring Perth art lovers a glimpse into the rare astronomical phenomenon that is Aurora Ailouros—feline overlords from outer space descending on earth from the cosmos. 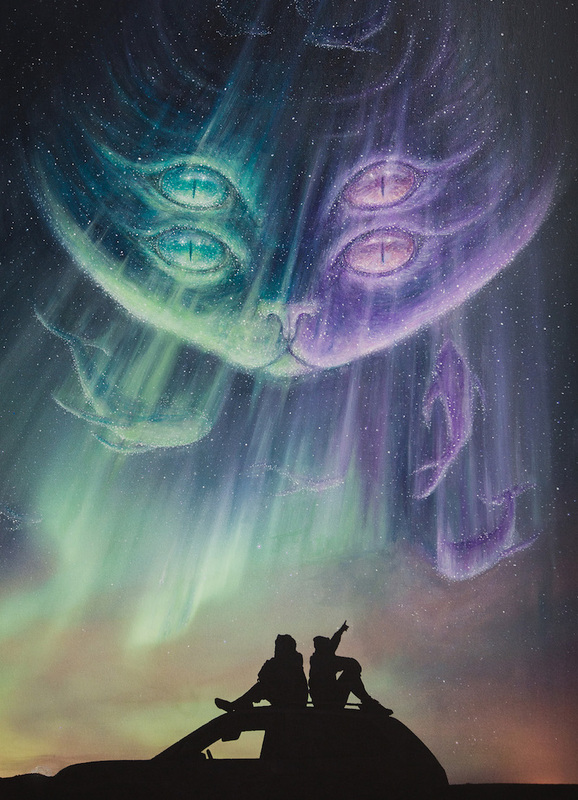 Through a unique blending of Seng’s Northern Lights photography and Juan’s giant acrylic alien cats, these two artists will have you questioning: Are they friend or are they foe? Revolutionary or just plain ridiculous? You be the judge! The exhibition kicks off on 27 October at Whitespace Gallery in Freo, and runs until early November—so you’ve got plenty of time to see evidence of this strange phenomenon for yourself before their predictions come true! 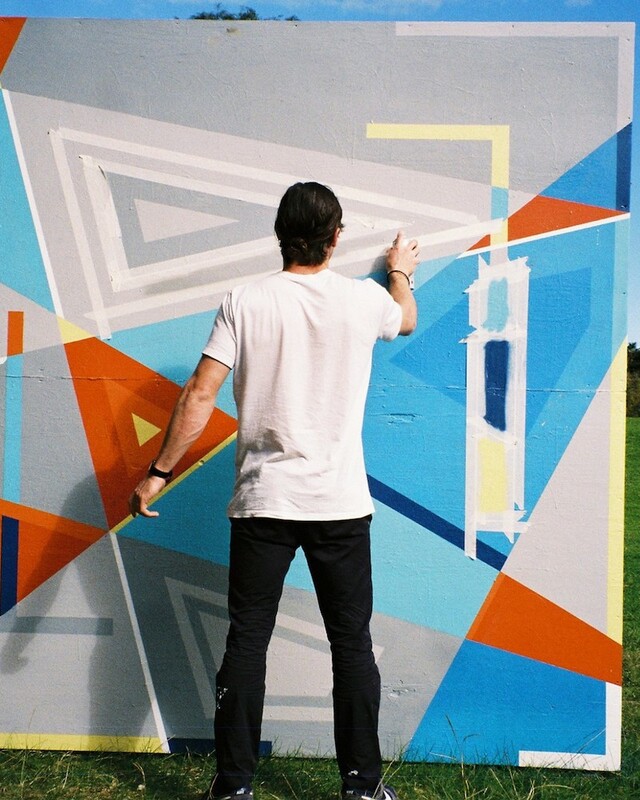 Incorporating painting and graphic design into large-scale mural and sign paintings, Perth artist Luke O’Donohoe of Overtime Design has done some pretty iconic stuff around town. He is responsible for the bright yellow, red and black Frank’d Burgers and Hotdogs signage which, if you ask us, speaks for itself. While O’Donohoe doesn’t have any traditional exhibitions coming up, we reckon you should be getting out there to go view some of his stuff around town in this fine spring weather. Swing by West Perth’s Embassy Home Outfitters to see his work accenting the building’s walls and windows. Head out to Malaga to check out his awesome ‘A’ putting the finishing touches on a large-scale ‘MALAGA’ mural that’s well and truly brightening up the suburb’s industrial area. And then, just take a quick trip out to Mukinbudin to see not one, but two of his murals around town, celebrating the place’s history and personality. Want more? See what Perth-born Emma Itzsein is up to since moving to the east side.